Macquarie Island lies almost 1,500 kilometres to the southeast of Tasmania, about half-way between Australia and Antarctica. The property includes Macquarie Island, Judge and Clerk Islets 11 kilometres to the north, the Bishop and Clerk Islets 37 kilometres to the south, rocks, reefs and the surrounding waters to a distance of 12 nautical miles. The main island is approximately 34 kilometres long and 5.5 kilometres wide at its broadest point, covering an area of approximately 12,785 hectares. The property covers an area of 557,280 hectares. Macquarie Island has outstanding universal value for two reasons. First, it provides a unique opportunity to study, in detail, geological features and processes of oceanic crust formation and plate boundary dynamics, as it is only place on earth where rocks from the earth’s mantle (6 kilometres below the ocean floor) are being actively exposed above sea level. These unique exposures include excellent examples of pillow basalts and other extrusive rocks. Second, its remote and windswept landscape of steep escarpments, lakes, and dramatic changes in vegetation provides an outstanding spectacle of wild, natural beauty complemented by vast congregations of wildlife including penguins and seals. Criterion (vii): Macquarie Island provides an outstanding spectacle of wild, natural beauty with huge congregations of penguins and seals populating what has been described as a small speck thrust up into the vast Southern Ocean. The island lies in latitudes known as the ‘Furious Fifties’ because of the frequency of very strong winds and stormy seas, which have sculpted the island. A coastal terrace supports vast waterlogged and heavily vegetated areas, forming a mire based on deep peat beds known as ‘featherbed’. This is framed by steep escarpments which rise spectacularly to a plateau surface dotted with innumerable lakes, tarns and pools. The continual westerly winds, which increase in force as they rise over the barrier of the island, and changes in topography result in dramatic changes in the vegetation cover which can vary from lush grassland to sparse feldmark within the space of a few metres. Among the most aesthetically appealing features of the island are the vast congregations of wildlife, particularly penguins, during the breeding season. The breeding population of Royal Penguins (Eudyptes schlegeli), a species endemic to Macquarie Island and nearby Bishop and Clerk Islets, is estimated at over 850,000 pairs, one of the greatest congregations of seabirds in the world. The breeding population of King Penguins (Aptenodytes patagonicus), estimated at around 150,000–170,000 breeding pairs in 2000, is still expanding. As the King Penguin chicks do not leave the vicinity of the nest for a year, they survive the rigours of winter by huddling together on the windy and snow-swept beaches. Four species of albatross nest on steep and rugged cliffs and are easily viewed when nesting. Elephant Seals (Mirounga leonina) also form impressive colonies during the breeding season. Criterion (viii): Macquarie Island and its outlying islets are geologically unique in being the only place on earth where rocks from the earth’s mantle are being actively exposed above sea level. The island is the exposed crest of the undersea Macquarie Ridge, raised to its present position where the Indo-Australian tectonic plate meets the Pacific plate. These unique exposures provide an exceptionally complete section of the structure and composition of both the oceanic crust and the upper mantle, and provide evidence of ‘sea-floor spreading’ and tectonic processes that have operated for hundreds of millions of years. The geological evolution of Macquarie Island began 10 million years ago and continues today with the island experiencing earthquakes and a rapid rate of uplift, all of which are related to active geological processes along the boundary between the two plates. Sequences from all crustal levels, down to 6 kilometres below the ocean floor, are exposed as a result of tilting and differential uplift on Macquarie Island. This provides rare evidence for sequences that are common from the bottom of the oceans to the upper mantle, but not seen elsewhere in surface outcrops. The lack of deformation of this exposed crust is highly significant as it exhibits key interrelated and interdependent oceanic crustal elements in their natural relationship. Macquarie Island is the only ophiolite (a well-developed and studied geological complex) recognised to have been formed within a major ocean basin. The geology of the island is therefore considered to be the connecting link between the ophiolites of continental environments and those located within the oceanic crust. The property is of sufficient size and contains the necessary elements to demonstrate the key aspects of the geological processes of Macquarie Island and the outlying Bishop and Clerk and Judge and Clerk islets. All major elements of the Macquarie deformational zone are included in the property. Human impacts, commencing on Macquarie Island in 1810, have resulted in major changes to the biota of the reserve. The commercial exploitation of seals and penguins, together with the introduction of alien species, resulted in the extinction of some native species and major declines in others. Resultant modifications to vegetation associations and nutrient cycles severely impacted on some species while benefiting others. Active management programmes, commenced in the 1960s, are aimed at stopping and/or reversing some of these trends. Some of these programmes have resulted in very rapid changes, including the eradication of feral cats and wekas from the island. However, the recovery of natural ecosystem processes as a result of these management programmes may take centuries. Macquarie Island is remote and well protected and managed. The property is vulnerable to the consequences of anthropogenic climate change. The other threat to the integrity of the property, which is monitored and managed, is the spread of introduced species and pathogens. A project to eradicate the remaining mammalian pest species (rabbits, black rats and mice) is underway, and is expected to be completed in 2016. Macquarie Island, the adjacent islets of Judge and Clerk and Bishop and Clerk, and all surrounding waters out to three nautical miles, is managed as a nature reserve by the Tasmanian Parks and Wildlife Service (PWS). Management of the reserve is guided by the Macquarie Island Nature Reserve and World Heritage Area Management Plan 2006. Most of the waters out to 200 nautical miles to the east of the reserve are within the Macquarie Island Commonwealth Marine Reserve, which is managed by the Australian Government in cooperation with the PWS. 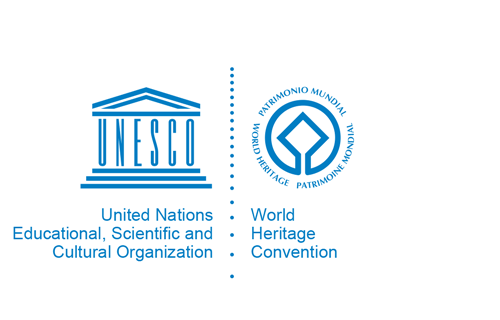 Overarching management of the World Heritage values occurs under national legislation, the Environment Protection and Biodiversity Conservation Act 1999 (the Act). All World Heritage properties in Australia are ‘matters of national environmental significance’ protected and managed under the Act. This Act is the statutory instrument for implementing Australia’s obligations under a number of multilateral environmental agreements, including the World Heritage Convention. By law, any action that has, will have or is likely to have a significant impact on the World Heritage values of a World Heritage property must be referred to the responsible Minister for consideration. Substantial penalties apply for taking such an action without approval. Once a heritage place is listed, the Act provides for the preparation of management plans which set out the significant heritage aspects of the place and how the values of the site will be managed.